This is the music video for the song “Made Of Love” by OY. [www.oy-music.com]. Ghanaian-Swiss singer Joy Frempong and producer & musician Lleluja-Ha are back from outer space, and they’ve brought a new sound with them that might make the future a little more colorful—if we listen. Making up the duo OY, the video to their latest single is as catchy and eye-popping as the message is powerful. 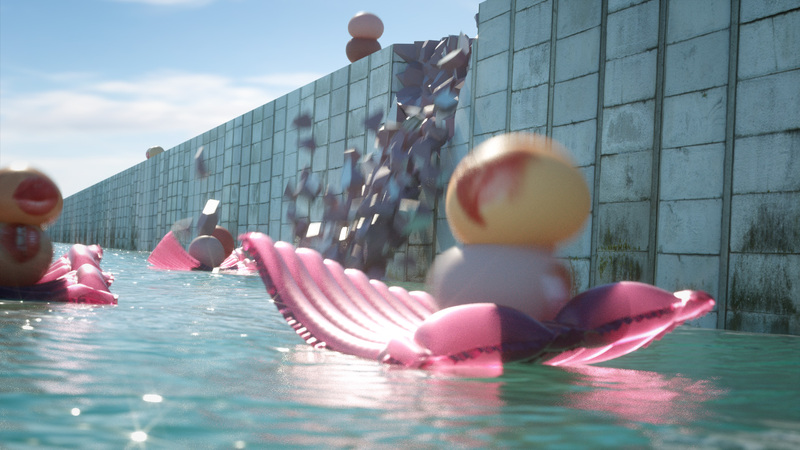 In the experimental clip directed by Moritz Reichartz, Frempong chants off different nationalities as head-like shapes of various colors gyrate against each other while floating on a clear sea, leading to a climax where the heads congregate in front of a giant wall, making so much love that the partition is destroyed.